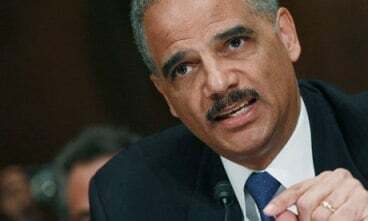 US Attorney General Eric Holder visited Ferguson, Missouri Wednesday, aiming to convince residents that the Obama administration was seeking a “fair and thorough” investigation of the August 9 police killing of 18-year-old Michael Brown. In fact, the basic purpose of Holder’s visit was to underline the administration’s support for the police crackdown and imposition of de facto martial law, while mobilizing so-called “community leaders” allied to the Democratic Party to defuse ongoing protests and channel popular anger back behind the Democrats. Holder arrived in the mainly working-class suburb of St. Louis following the eleventh night of protests. Police armed with assault weapons and backed by an arsenal of military vehicles as well as National Guard troops arrested 47 people Tuesday night and early Wednesday, during what Captain Ron Johnson of the Missouri Highway Patrol called a relatively “peaceful” night. The concerted attempt by the media and the political establishment, from the Obama White House down to state and local officials, to place the onus for violence on the protesters, singling out, in particular, so-called “criminal elements” and “outside agitators,” was belied by an Internet posting showing a police officer pointing an assault rifle at journalists’ faces and threatening to kill them. The video shows the officer screaming “I will f***ing kill you… Get back! Get back!” at a group of reporters. When asked to identify himself, he tells the journalists to “go f*** yourself.” The St. Louis County Police Department said in a statement that the officer was subsequently disciplined. Also on Wednesday, cell phone footage of Tuesday’s police shooting of Kajieme Powell in nearby North St. Louis was posted, contradicting police claims that the victim had a knife raised in an “overhand” position when he was shot. The video shows that officers continued shooting Powell as he lay motionless on the ground. Holder told the press Wednesday that he hoped his trip would have a “calming effect” on residents outraged by the police killing of Brown, who was unarmed when he was shot six times by Ferguson officer Darren Wilson, and the brutal police response to their protests. Hundreds have been arrested, most of them charged with failing to obey police orders to disperse. The police have imposed a rule requiring residents to keep moving on public sidewalks. Anyone who stays in place for more than five seconds is subject to arrest. While in Ferguson, Holder met with community college students and sought to cast himself as being sympathetic to residents’ concerns on the basis of his race. “I am also a black man,” he declared. He met separately with local FBI officials, some 40 of whom are conducting interviews with residents. He posed for a photo op with Missouri Highway Patrol Captain Ron Johnson, who is supervising the crackdown. Holder’s visit came as St. Louis County prosecutors began presenting evidence in the Brown shooting to a grand jury. St. Louis County Prosecuting Attorney Robert McCulloch told a local radio station that his office may not finish its presentation until mid-October. Meanwhile, Officer Wilson, who fired multiple rounds into Brown at close range, including two shots to his head, remains at large. He is on paid administrative leave from the police department. He has not been arrested and no charges have been laid against him. Holder offered no criticism of the failure of local or state authorities to arrest the killer cop. Holder’s attempt to present himself as a supporter of the First Amendment rights of free speech and assembly is fraudulent. He defended the Obama administration’s policy of drone missile assassinations, including of American citizens. He argued at the time that the constitutional guarantee of “due process” did not imply any guarantee of a right to “judicial process.” On that basis, he claimed that decisions to murder US citizens made unilaterally by the president and his military and intelligence advisers were constitutional.